There are a lot of standard DRM methods that developers uses (product keys, online verification, etc. ), but some devs implement more unique copy protection tech in their games. If you attempt to play a pirated copy of Chrono Trigger (both the SNES and DS versions), the first time you travel back in time you'll end up in an infinite loop within the time warp. 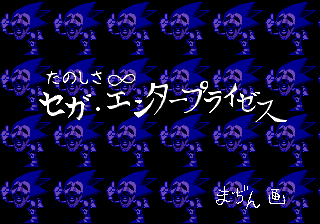 Pirated copies of Sonic CD would display a bizarre and creepy image from the game's sound test instead of booting up the game. EarthBound takes the cake for how intricate and devious its copy protection is. If the game detects it's being run from a copied cartridge or a cartridge-copying device, it'll display an antipiracy warning screen and refuse to play further. If you crack this first layer of protection and play on, the game throws an absurd amount of enemy encounters at you throughout the game, including high-level foes you wouldn't normally encounter early on. If you somehow make it through that and get to Giygas, the game will freeze just before Giygas' second phase and delete your saves. Damn, Nintendo. Got any other favorite examples? Re: Games with clever anti-piracy measures. Game Dev Tycoon adds pirates that steal all of your games and make progression basically impossible. They actually added that as an insane difficulty mode for non-pirates last week. I'm also a fan of Arkham Asylum's subtle approach: the game is entirely unchanged except for the fact that Batman can't be bothered to do his glide move, which makes progression past the very early stages impossible.